The Bosnia and Herzegovina Community Association in Derby marked Srebrenica Memorial Day with a powerful, moving event celebrating Bosnian culture as well as commemorating the victims of genocide. 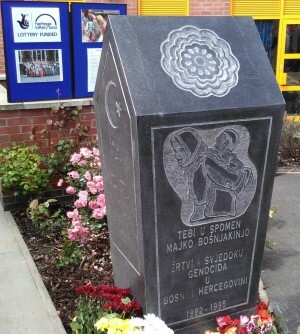 The Bosnia and Herzegovina Community Association in Derby marked Srebrenica Memorial Day on Sunday July 10 2016 by holding a memorial event during which a monument dedicated to the Bosniak mother, victims and witnesses of genocide in Bosnia and Herzegovina was unveiled. 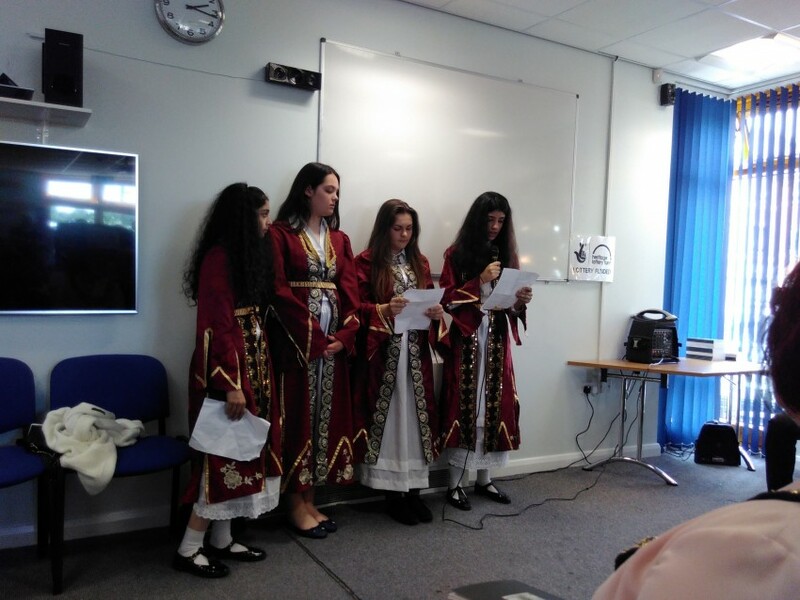 The event featured prayers, speeches, survivor testimony, poetry and food, bringing together members from the Bosnian community, local dignitaries and supporters of the project. After prayers were said upstairs, the Manager of the Centre, Ferid Kevric, spoke about the project funded by Heritage Lottery to highlight Bosnian history and culture through the display in the centre and the monument. The next part featured young people taking centre stage with Ramiz Zahirovic and Emil Zahirovic-Algie reading a moving testimony written by Sudbin Music from the village of Čarakovo near Prijedor after which Adna Bjelobrvic, Sara and Sana Akram, Aldijana Pobric and Amela Subasic, who were all dressed in Bosnian national costumes, read poems. 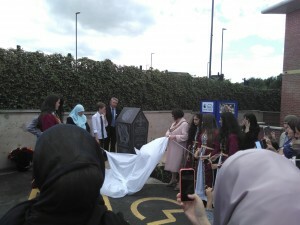 The monument, which was funded by Heritage Lottery, was officially unveiled by the volunteers who helped in the overall project titled “Bosnian War People and Children Saving History, Language and Culture in Midlands”, the Mayor of the City of Derby, Councillor Linda Winter, and Zemka Zahirovic, a mother who lost her three sons and husband and has lived in Derby for the last 20 years. After the unveiling, Imam Ahmed ef. Gopo, recited a prayer and flowers were laid, first by the Mayor of Derby, Councillor Linda Winter, and then all other attendees who wished to do so. This was a very emotional day when the Bosnian community came together to pay their respects across all different age groups. The sharing of food at the end gave everyone a chance to talk and gain a greater understanding of their shared experiences.